2015 VBS Registration is Open! Join us this summer for a great adventure! Vacation Bible School 2015 is Sunday, June 28- Thursday, July 2 from 5:30pm-8:30pm. We start with a kid-friendly dinner to make it easy for families on those busy weeknights. Kids age 3- entering 6th grade are invited! Older youth can serve as volunteers and assistant leaders. To register your child, click here. To register as a volunteer, click here. For a VBS music preview, click here. “Just one more chapter, please!” My dad read us stories at bedtime, long after we were past the age that most parents read goodnight stories to their little ones. I remember even in middle school begging for just one more page, one more chapter, one more exciting tale to keep us up long after we should have had sugar plums dancing in our heads. 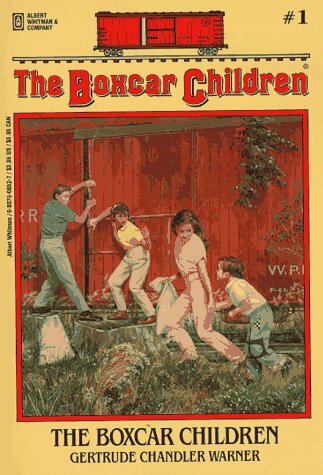 Whether it was the Box Car Children or Nancy Drew or Harry Potter, we had to know more. And as an adult I’ve been known to stay up late with a good novel, saying to myself, “Just one more chapter, and that’s it. One more!” Do you ever get that feeling? Or maybe for you it’s watching the Big Bang Theory or House of Cards? Now you don’t even have to press the button- Amazon gives you “one more chapter” automatically and you’re hooked for another 45 minutes! Join us for Worship this Easter. …will begin on Thursday, Jan. 22 at Noon. Please join us- bagged lunches are welcome! 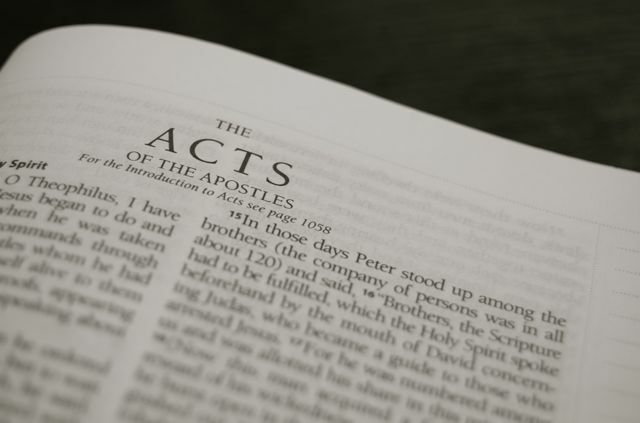 For preparation, please read the first chapter and the introduction to Acts in a study Bible. The Acts of the Apostles is an action-packed account of the early church. As you read, watch for the work of the Holy Spirit- deeds of power, fiery preaching, generous giving, and amazing prison breaks. And, don’t be surprised if you find the Holy Spirit at work in your own life! Join us on April 20 for Easter Worship! 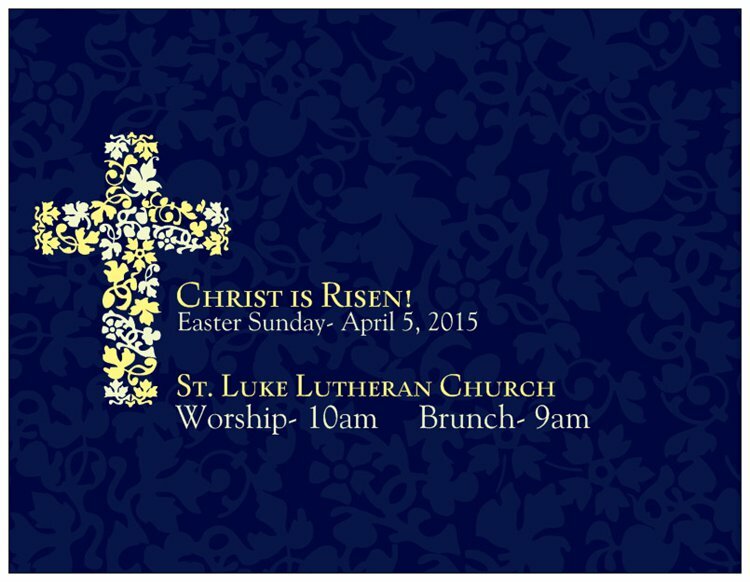 You are invited for worship on Easter Sunday, 2014! Bring your family and friends for this special day in the life of the church- and in your life as a child of the living God! 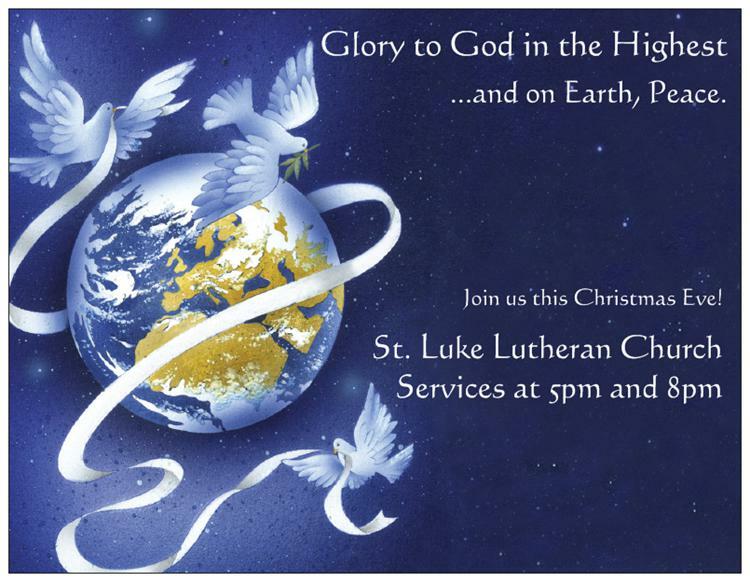 Worship will be at 10am, with breakfast and fellowship at 9am. Click for FAQ’s and directions. 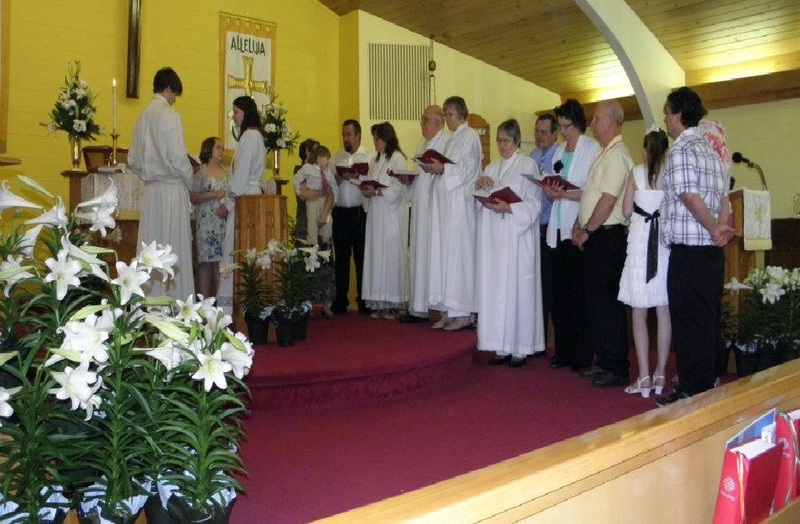 Join us as we proclaim loud and strong: Christ is risen! He is risen indeed, Alleluia! Join us for Shrove Tuesday Pancake Supper at 6pm on March 4! Each year, on this Sunday, the first Sunday of Christmas, the texts for the day are chosen from the stories of Jesus’ childhood that we have recorded in the Bible. There aren’t many. We only have a handful of stories before Jesus begins his ministry as an adult. One year we read the story of Anna and Simeon in the temple bringing their blessings to the tiny messiah and those beautiful words, “Now Lord, you let your servant go in peace”. One year we read the story of Jesus reading in the temple while his parents search for him frantically. And this year, we read Matthew’s version of Jesus’ childhood. This story is called by two names “The Flight into Egypt” and “The Massacre of the Innocents”. The two names reflect the two parallel events- two distinct sides of the story. One side is the safety for the holy family as they flee into refuge in Egypt. The other side is the true and horrid fact that many families did not have the same opportunity to escape the wrath of Herod. Wrath that was caused by hearing that a new king- albeit a very different kind of king, an infant Messiah- was on the scene in Israel. I think sometimes we like to picture Christmas as a moment frozen in time. Like our beautiful carved nativity scene that never changes, we imagine the Christmas night to be a perfect, unmoving scene. Jesus as a tiny baby, nestled in the swaddling clothes, tucked into the manger bed, no crying he makes. Mary looks on serenely, Joseph hums a lullaby, all the shepherds bring their praise with their heads quietly bowed. Still. Peaceful. Calm. We are a part of the body of Christ, sharing God’s love and serving all people. Worship at 10am each Sunday.